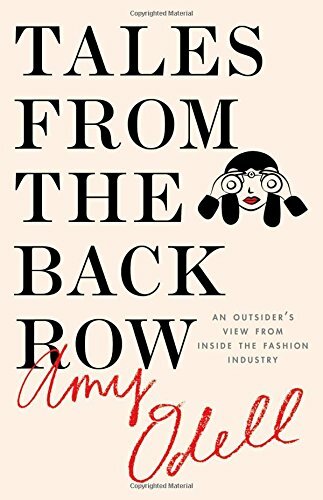 The indisputable observation that can be made after reading Amy Odell’s supposedly truthful parody is that this is the fashion business in the age of the Internet as seen by a millennial. The author seems to think she is the first to make many of these observations. Furthermore, anyone who has chosen the business of fashion as a profession or has seriously studied it will find books of this ilk to be vapid and inane not to mention mockingly absurd. The book is chock-a-block with sweeping pronouncements and excessive name dropping that will render any seasoned fashionphile slack jawed. These include: Bryan Boy is a fashion icon, Rachel Zoe is the new Karl Lagerfeld, Savile Row is where David Beckham buys his suits, Saks Fifth Avenue is a fancy store, Nicole Richie is a fashion icon, and (my personal favorite) Alexander Wang is one of the greatest designers of his generation. Really? That’s only a teaser of what can be found between the covers, filled with these misguided notions in the age of sound bytes and constant social media coverage. Yes, some of these statements can be chalked up to naiveté, some to youthful exuberance, and some to ignorance, but none can be taken seriously unless you have no fashion education. Let it be said now, that without question, some will actually find this book amusing and funny, but those of us who have lived fashion will not be among them. My impression is that the book could have actually been funny if the author hadn’t decided that she is an authority on fashion and all that occurs within that universe. Odell was hired to write about fashion with not a day’s worth of prior experience, and so much of what she expounds upon only proves that her scope of knowledge and frame of reference spans the life of her career and never dares to explore fashion from its roots. It might have served her well just to read a few books about Diana Vreeland, and she would have learned that style is not fashion and taste is not learned. Labels are not what make one well dressed, fashionable, or even stylish and to believe it compounds the felony. The point is that books of this nature should have a warning label on them that states this subject matter is not for seasoned or boomer fashion folks. The book is aimed at those who know fashion in the most superficial and trendy of ways. The author has chosen to totally ignore any aspect of fashion that happened before the new millennium, and it’s too bad as the historical aspects might have lent a bit of gravitas to the subject as well as making its more humorous parts even funnier.